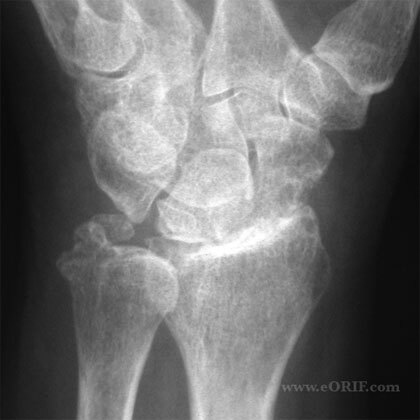 PA view of arthritic wrist demonstrating complete loss of the radiocarpal joint space with sclerosis. 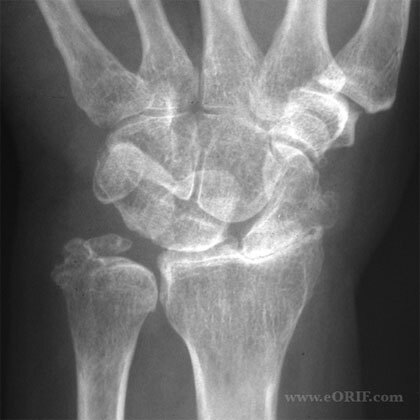 Scapohoid view of arthritic wrist demonstrating sclerosis and cystic changes in the radioscaphoid joint. 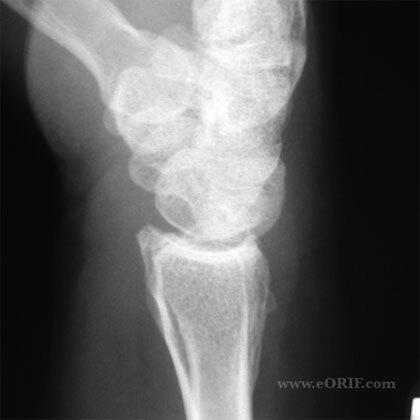 Lateral View of arthritic wrist.